And now off to the USA. 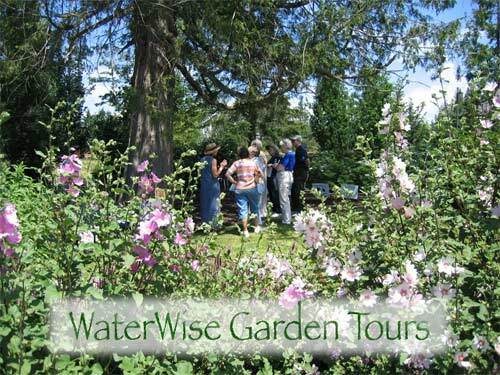 Our first public garden customer was Covington Water District in WA state. At the 2003 Northwest Flower & Garden show, I gave one demonstration to one group from Covington. They seemed excited, and brought more colleagues for a second demo. Now, I’m the one who’s excited! Katie and her colleagues have worked on their Ideas Genie database (I converted their plant list initially to give them a head start) and have it in an advanced state of “readiness”. Katie sent me a number of photos to share on this web site. If you look closely at the photo below you’ll see one of her attentive tour visitors with a copy of that Garden Tours Document. Another photo of the Covington Water Distrist demonstration garden (below). The garden features hundreds of plants with low water requirements, and is provided so that gardening consumers on their network can see the wide range of plants which they can grow in their own gardens to conserve that precious commodity, water. Like a copy of the Covington SWAP Library CD for use with your copy of Ideas Genie? If the project we have been working on jointly comes to fruition... I’ll be delighted to make the announcement here! 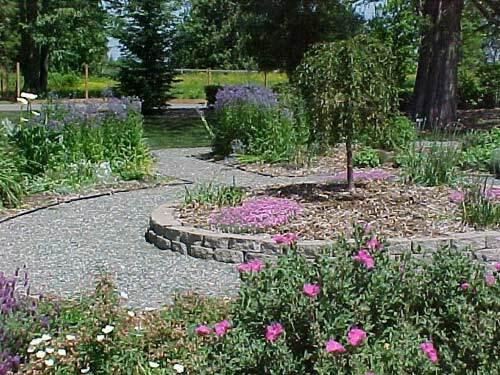 You can print off a list of the plants in the Covington Water Distrist Demonstration Gardens. The list was produced using Ideas Genie.